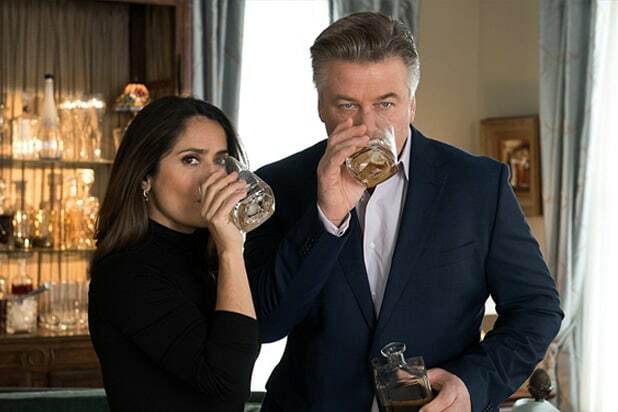 Salma Hayek and Alec Baldwin’s “Drunk Parents” has sold U.S. distribution rights to Vertical Entertainment and DirecTV. The Bron Studios production, which also stars Jim Gaffigan, Joe Manganiello and Ben Platt, will see theatrical release from Vertical with a pre-release VOD window on DirecTV. Directed by Fred Wolf, who co-wrote the screenplay with Peter Gaulke, the film centers on the attempt of “two parents to hide their ever-increasing financial difficulties from their daughter and social circle through elaborate neighborhood schemes which take their lives on a hilarious downward spiral,” a synopsis said. The film is slated to hit in the first quarter of 2019. The deal involved Rich Goldberg and Peter Jarowey at Vertical with Anjay Nagpal of Bron Studios, and was settled at the Toronto Film Festival. Bron co-produced with Fortitude International, in association with Creative Wealth Media. Rob Barnum and Aaron L. Gilbert produced, with Jason Cloth, David Friendly and Fortitude’s Nadine de Barros serving as executive producers. Wolf is represented by UTA, Fourth Wall and Morris Yorn Barnes.